We have a variety of trailer units available for rental. They are affordable and very convenient. 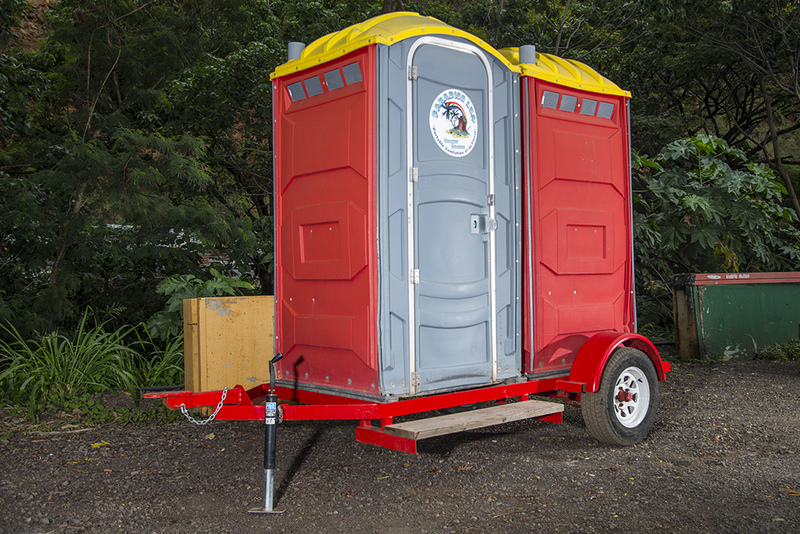 These are often rented by companies who have more than one jobsite and need the convenience of having the mobility in a trailer unit restroom. It’s an added convenience to be able to transport the unit to where it has to go instead of waiting for us to relocate the unit for you. Our Hele on lua unit is a single unit mounted onto our towable trailer for convenient traveling. Our Hele on Elua is a double unit mounted onto our towable trailer. Please Note: The Agricultural market has a unique set of requirements, including State & Federal sanitation regulations. Several of these units are equipped with a hand wash basin, soap & hand towel dispensers which makes these comply with these regulations.